Baton Rouge, LA – February 20, 2015 – Lamar Advertising Company (Nasdaq: LAMR) today announced that Sean Reilly, CEO of Lamar Advertising Company, is scheduled to participate in a question-and-answer session at the Morgan Stanley Technology, Media & Telecom Conference in San Francisco, CA on Tuesday, March 3, 2015 at approximately 1:50 p.m. (PT). 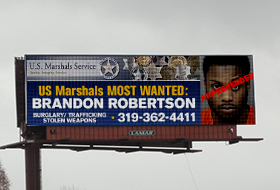 Digital billboards are getting heart healthy in February, thanks to a new social media effort. 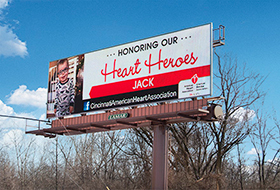 Lamar Advertising Company has partnered with the Cincinnati American Heart Association for Heart Month. The Heart Heroes campaign integrates social media and digital out-of-home to spread awareness about the importance of being heart healthy and to honor those who have been affected by heart-related illnesses.